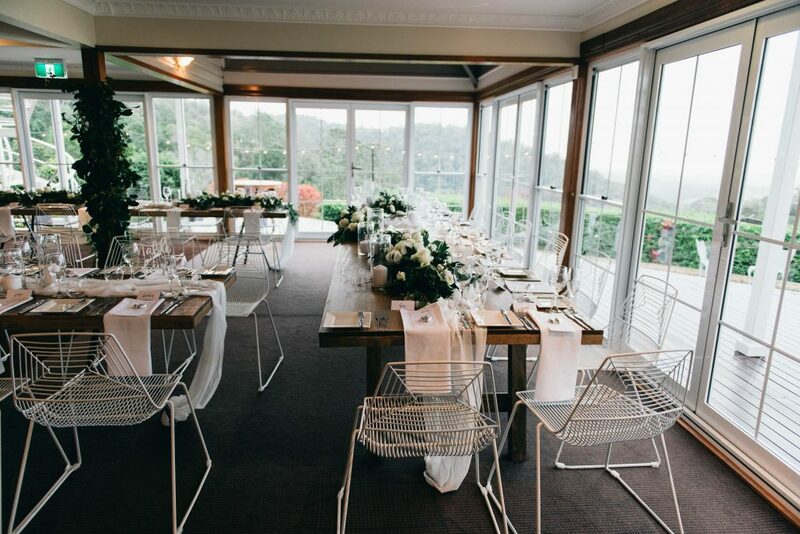 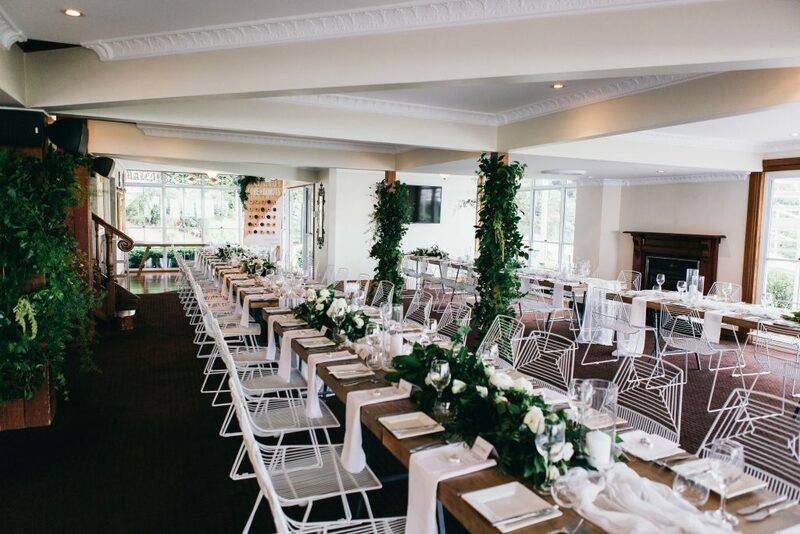 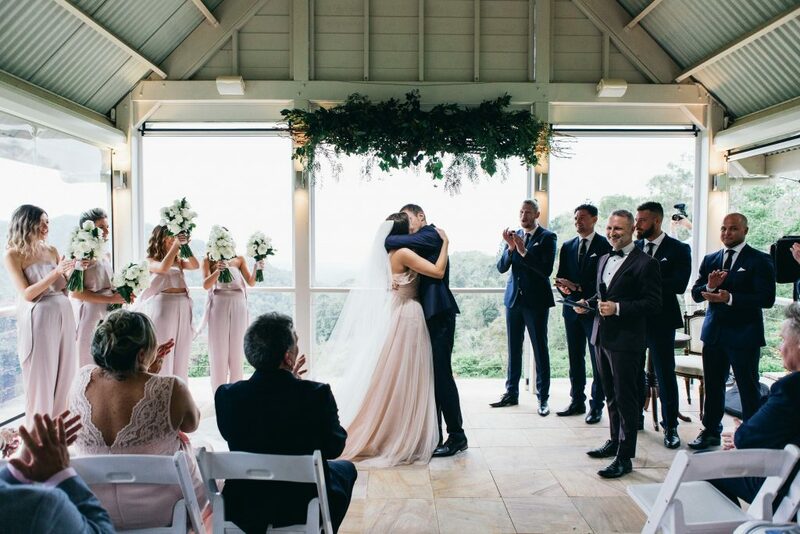 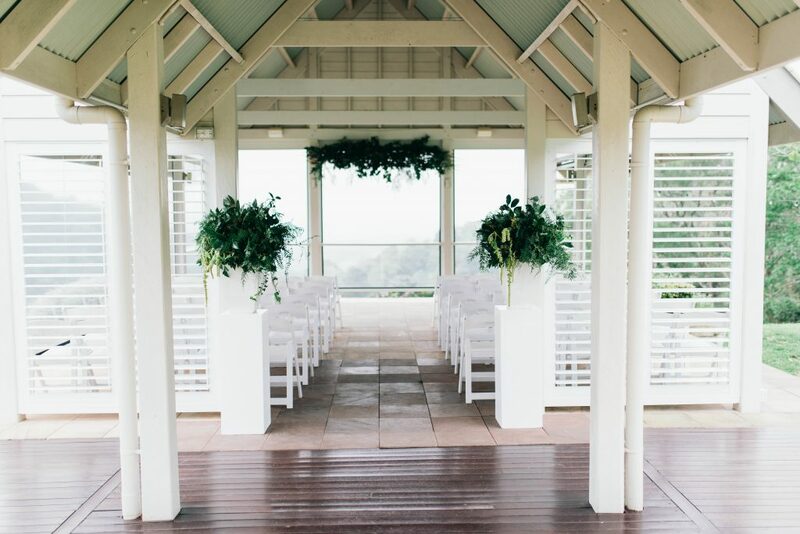 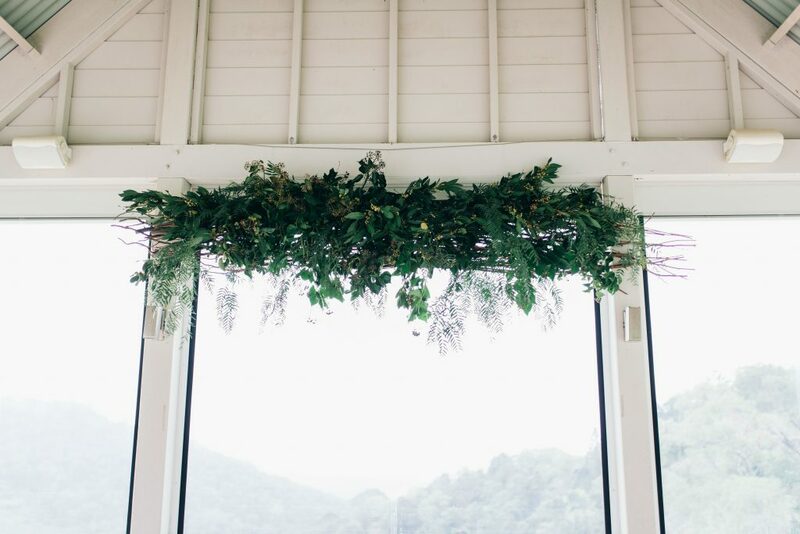 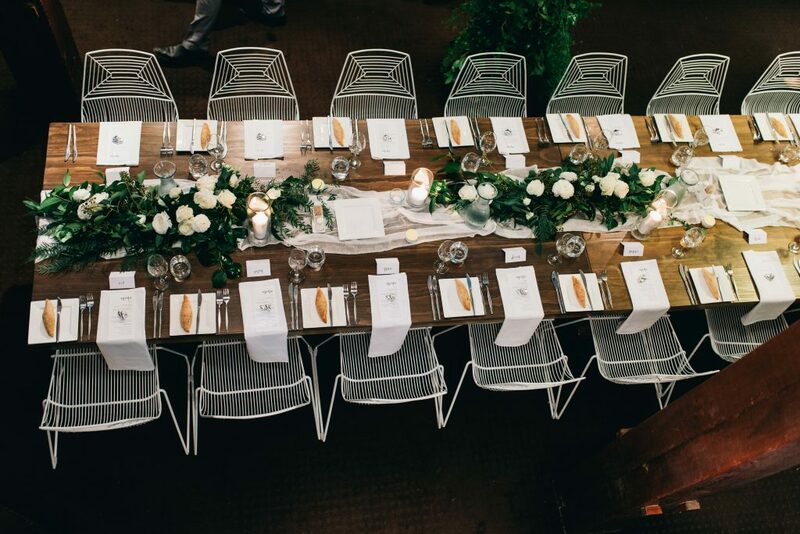 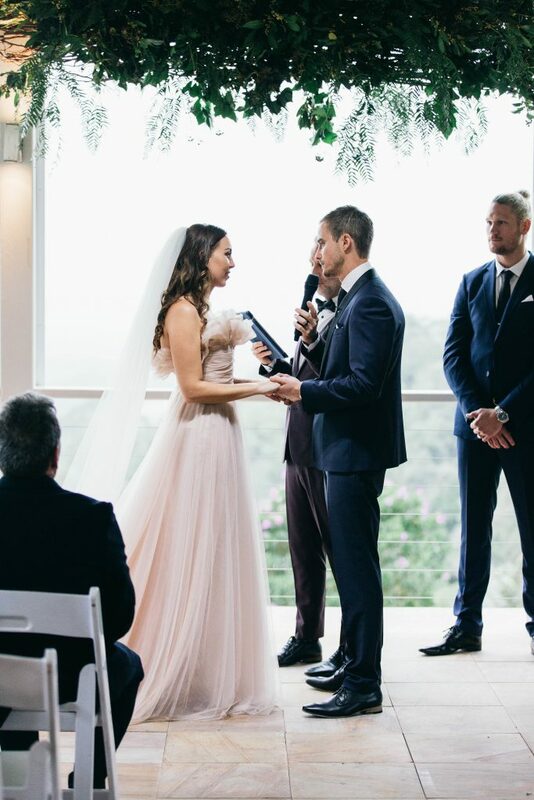 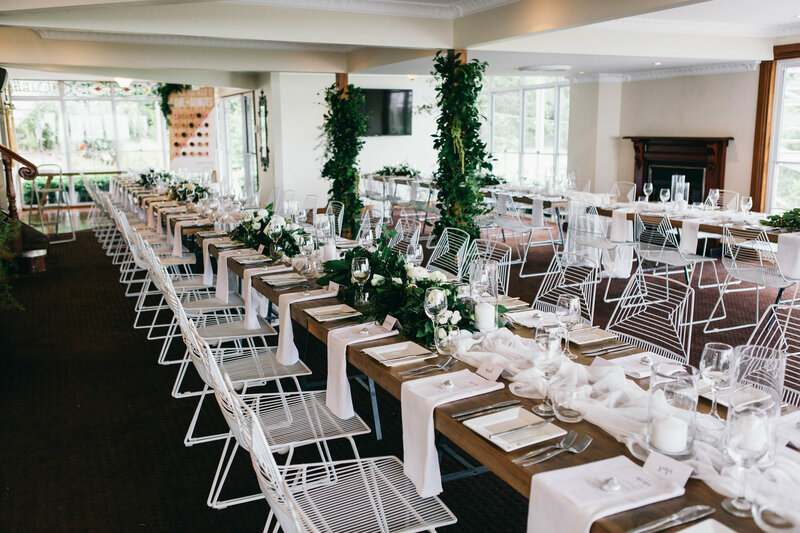 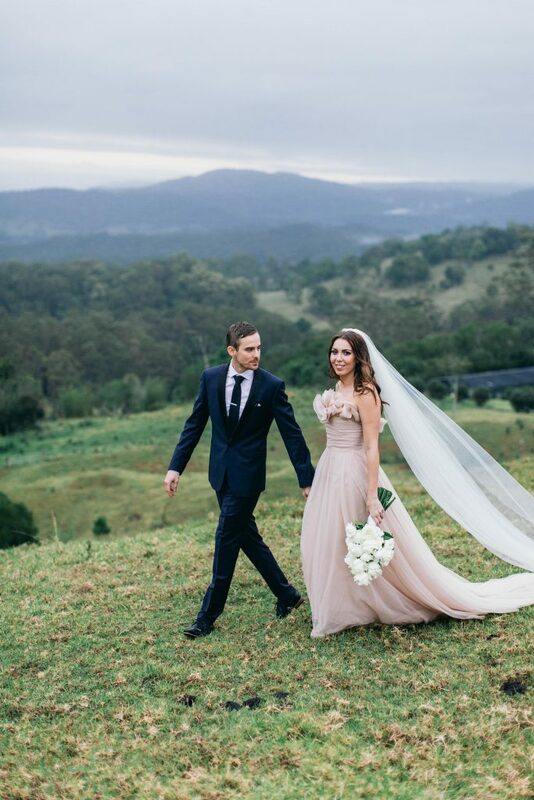 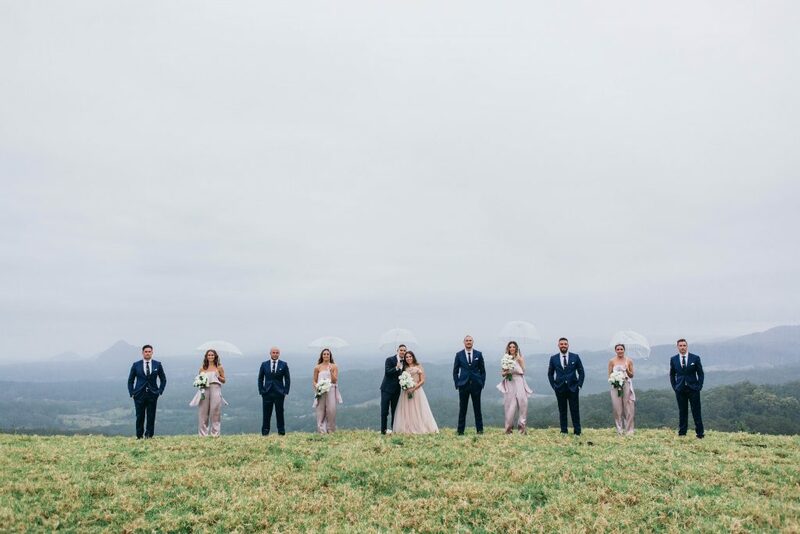 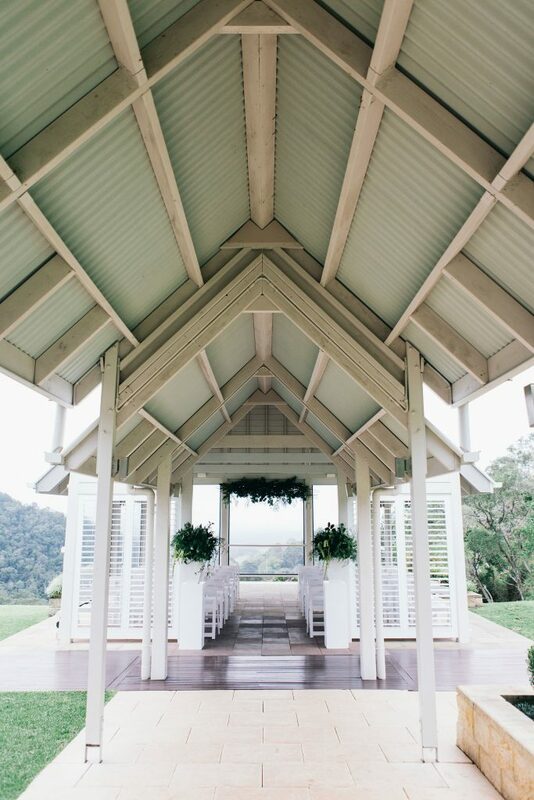 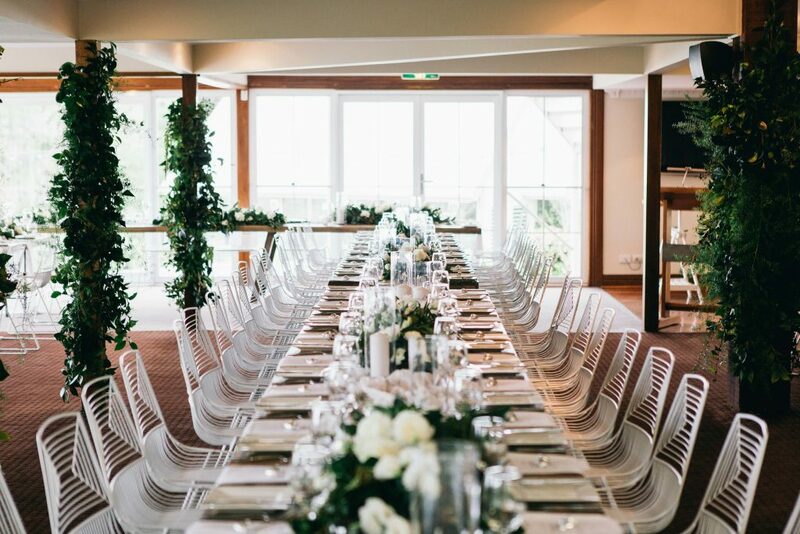 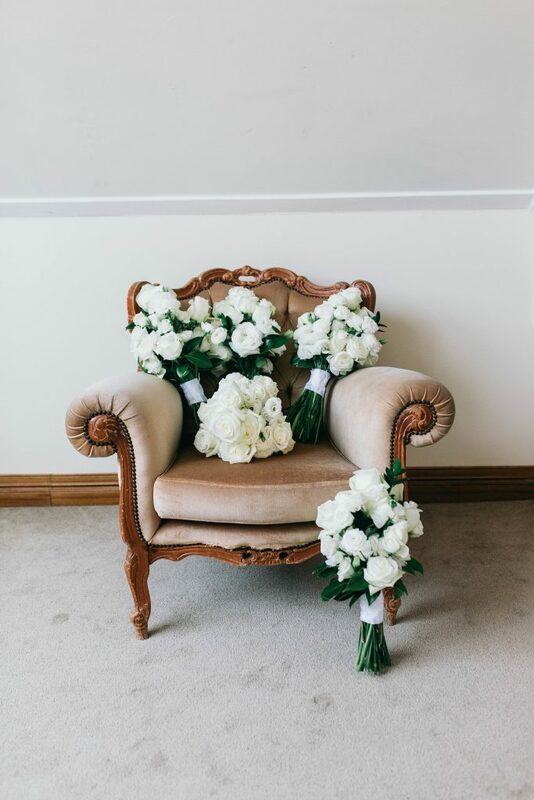 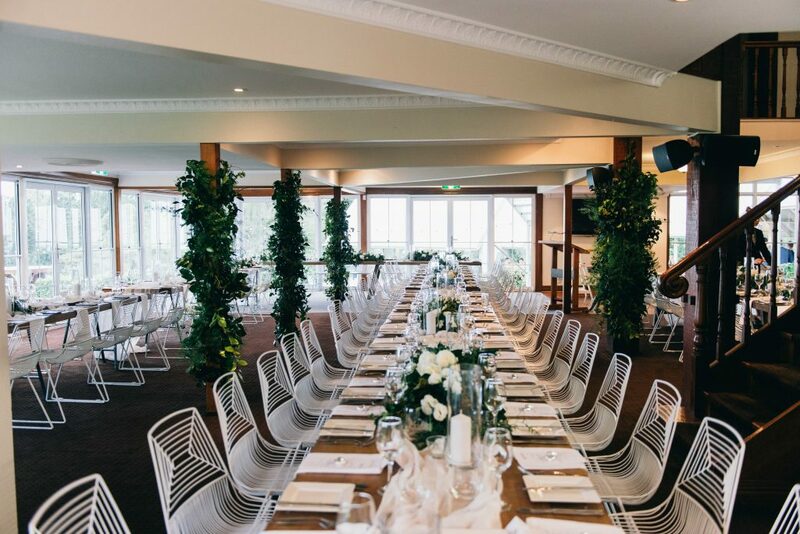 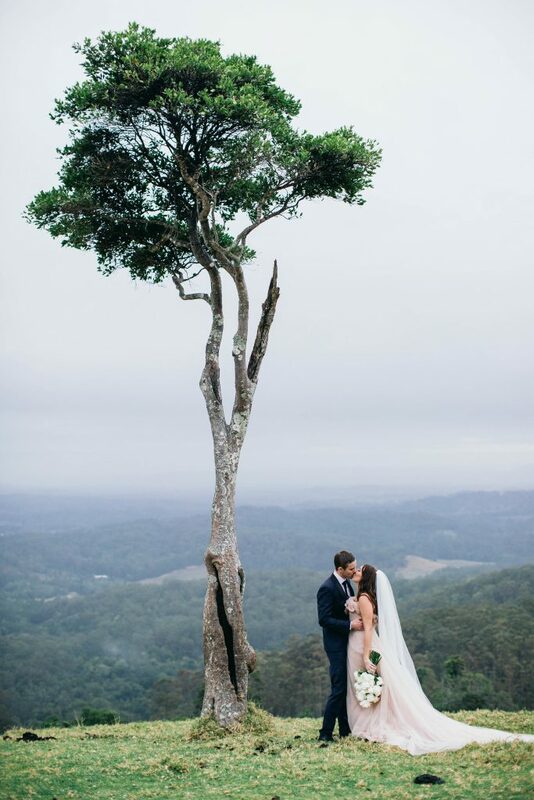 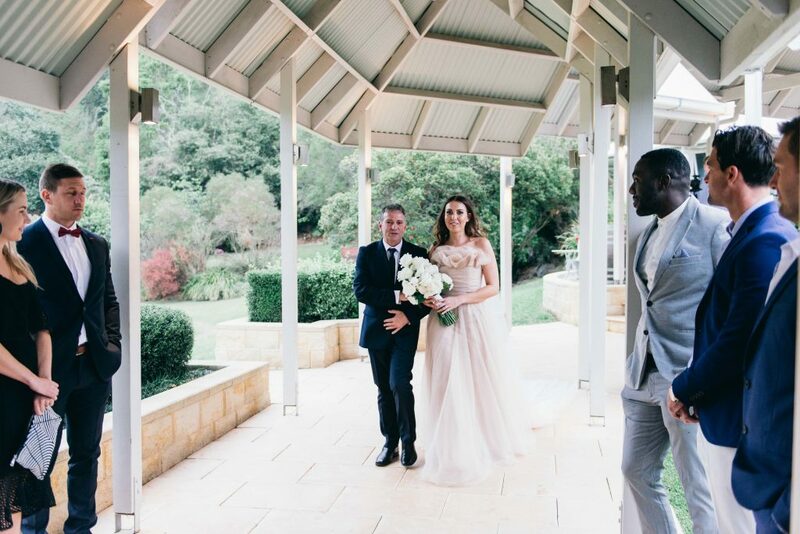 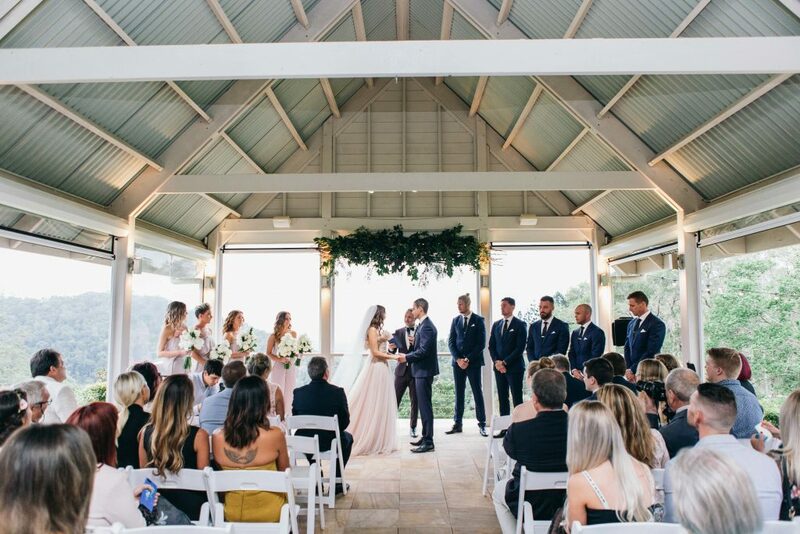 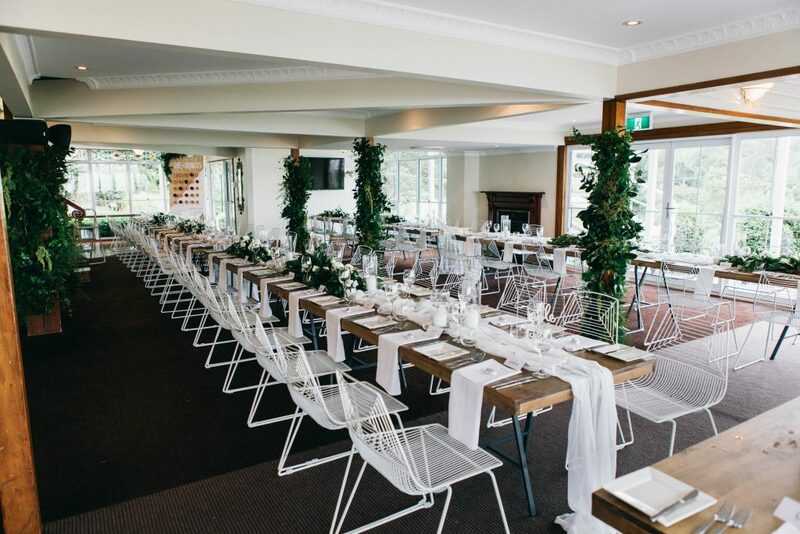 Contemporary modern styling is the trend for wedding flowers heading into 2018 and beyond, and there was no better example of modern chic wedding style then at Eden and Karl’s recent wedding celebrations at beautiful Maleny Manor. 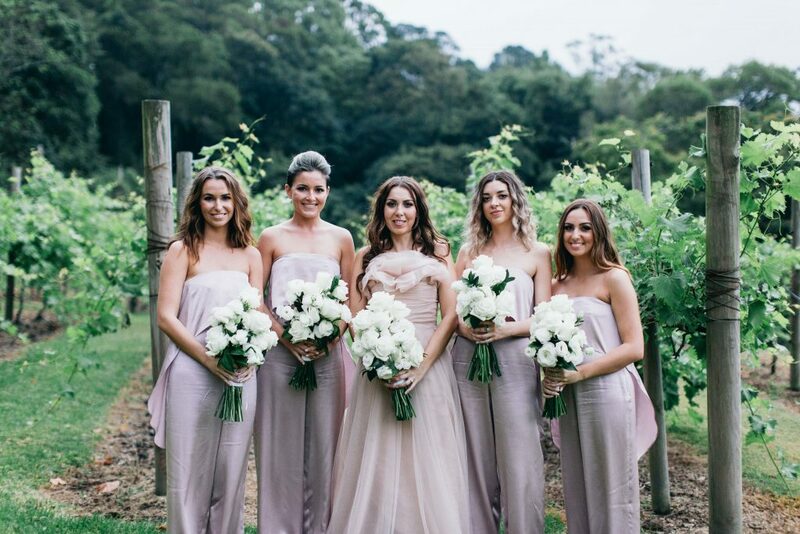 Oh so chic, oh so glamorous…. 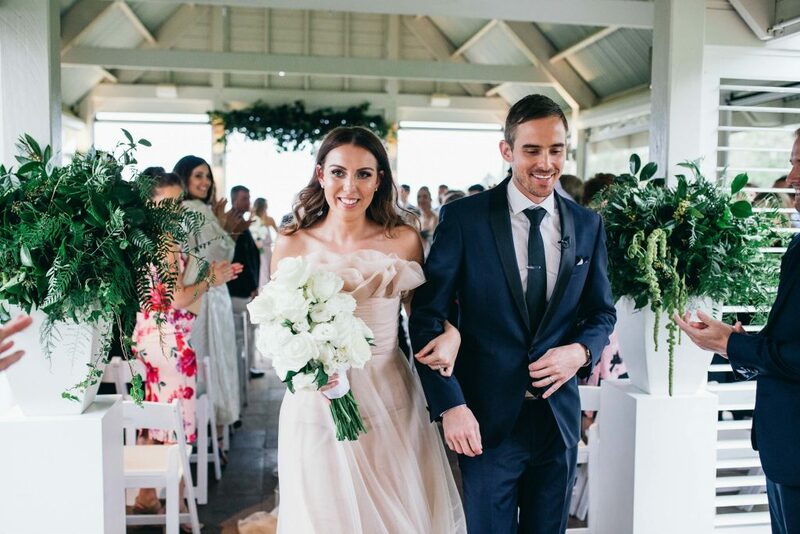 these two lovebirds glammed up their day with gorgeous white florals and contemporary decor pieces that partnered perfectly with the classic space to provide a stylish modern edge. 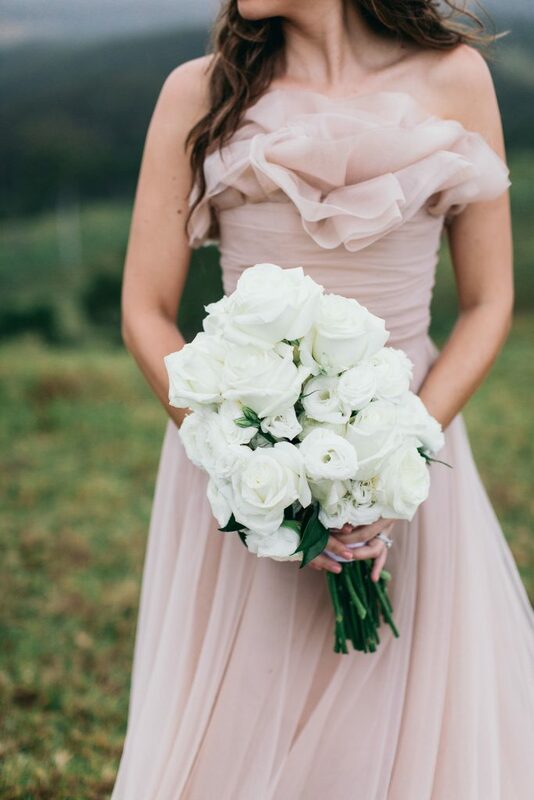 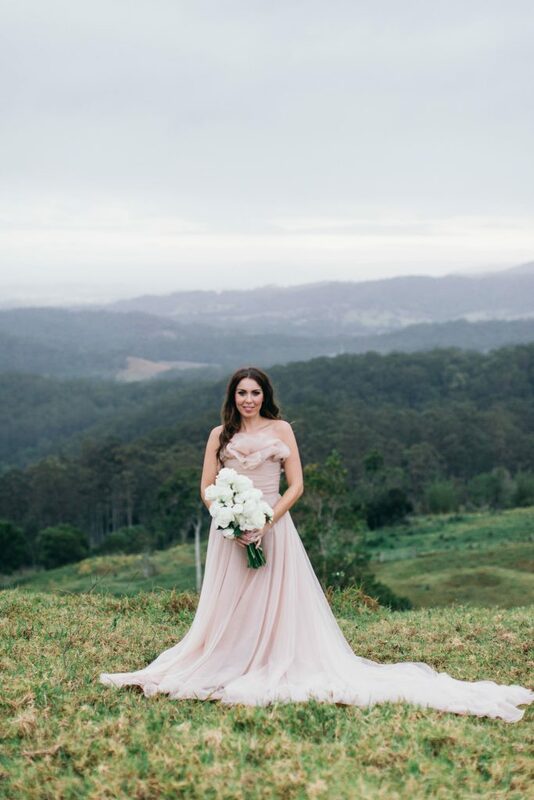 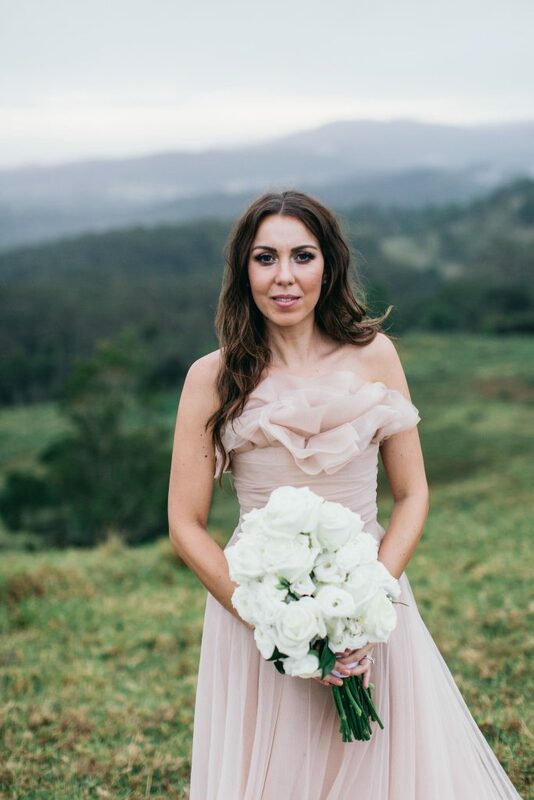 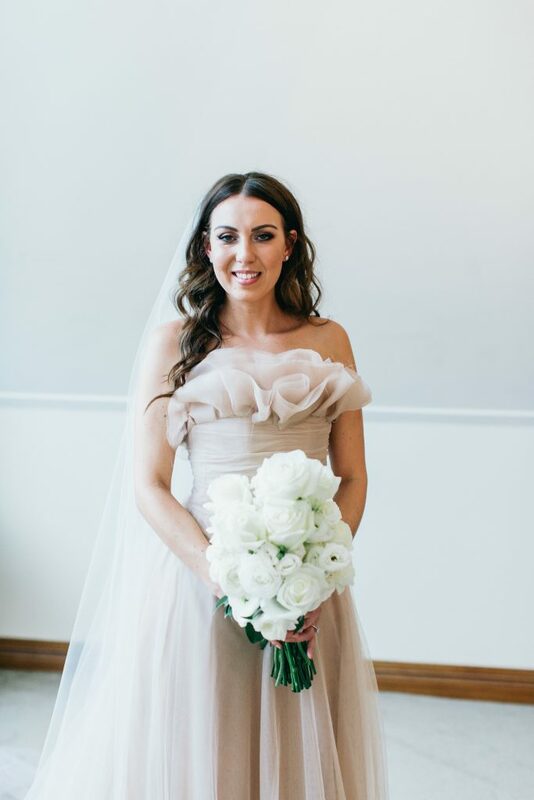 We adored Eden’s wedding style, with her blush bridal gown lovingly created by the incredible Darb Couture, and our long stem gathered bouquet of white roses, lisianthus and ranunculus added a stunning sleek accent to this gorgeous girls style. 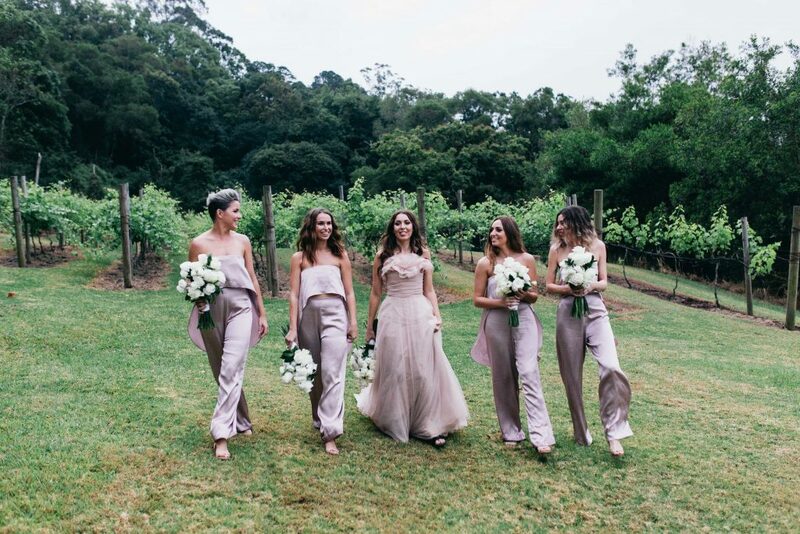 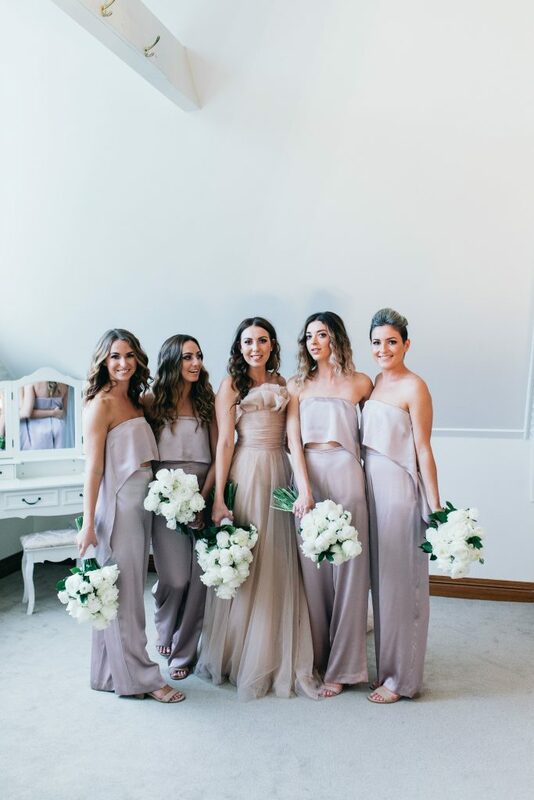 The beautiful bride tribe wearing tea rose pant suits added to the contemporary glam, all the girls holding similar style gathered bouquet designs and complementing Eden’s modern style. 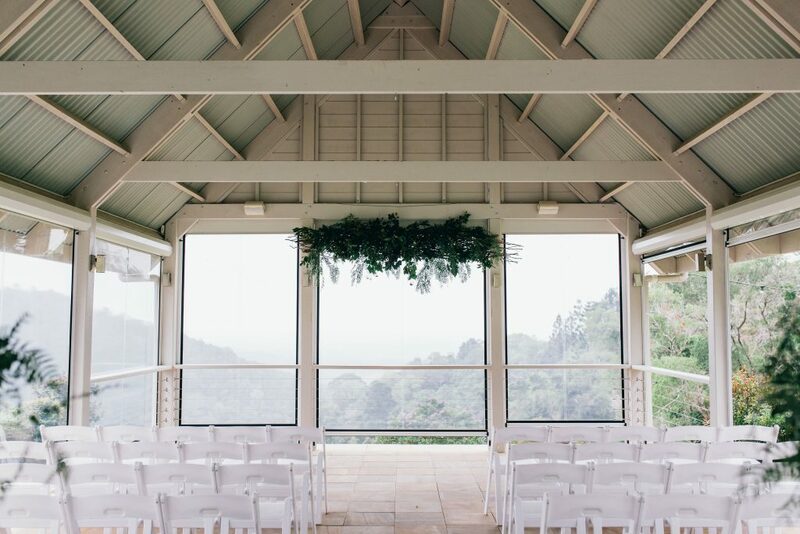 In the spectacular pavilion we focussed on lush green cascading from above, with our hanging structure bringing the lush outdoors in and adding an organic gardenesque floral style. 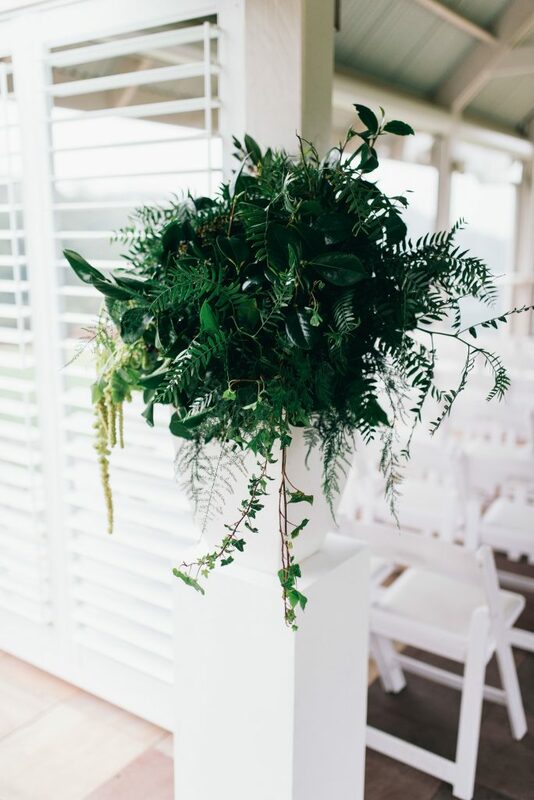 Entrance designs of foliage and trailing amaranthus featured in white concrete pots. 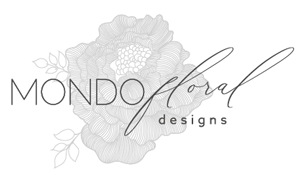 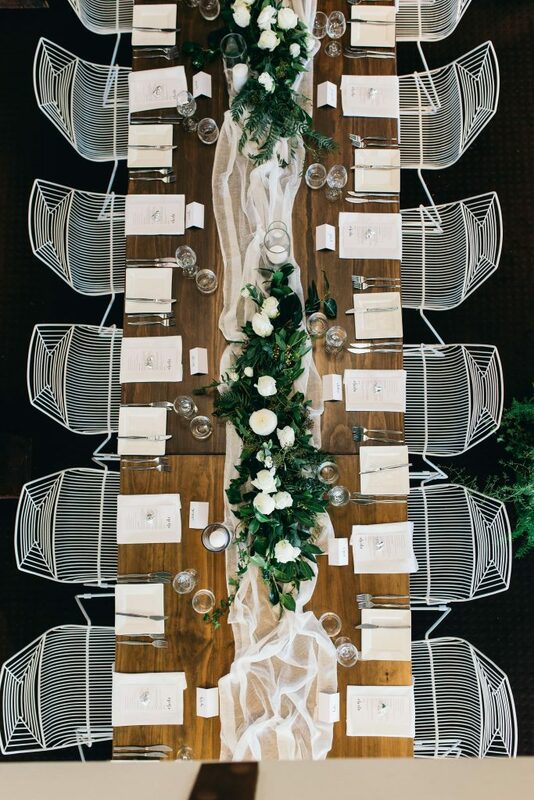 The reception was a fusion of contemporary dining style and edgy furniture pieces and where we added organic foliage accents and lush bloom designs. 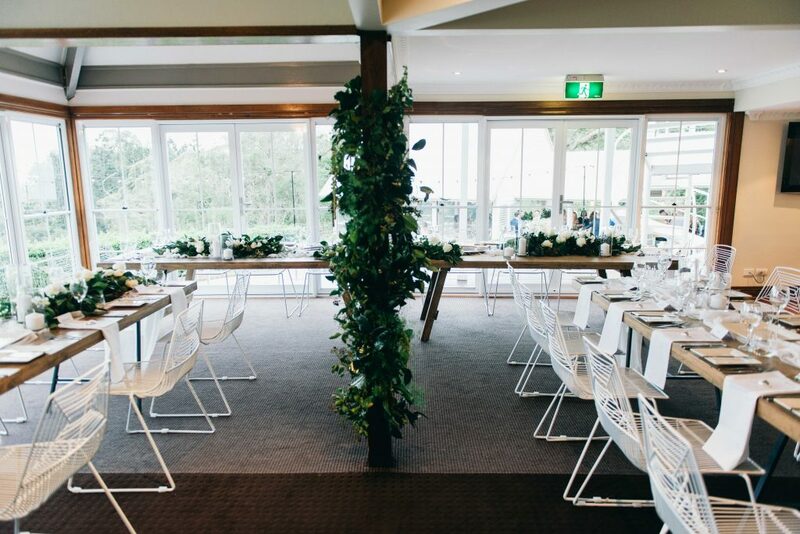 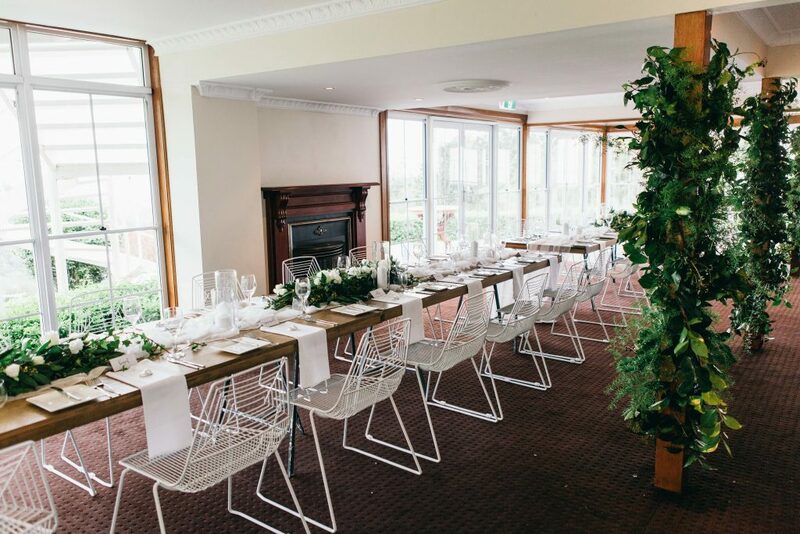 Our greenery pole features accenting the space beautifully with forest inspired foliage designs. 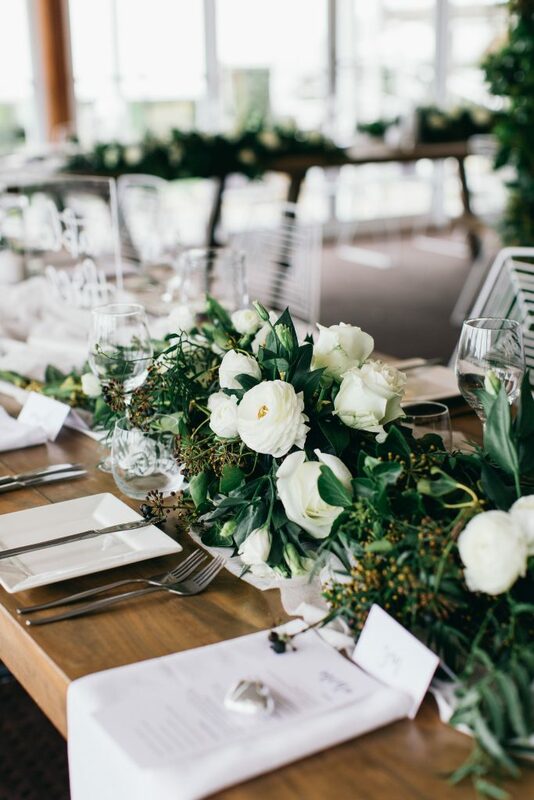 The divine dining tables featured gathered fabric runners and were adorned with our individual garland designs featuring white chic blooms and gardenesque foliage accents. 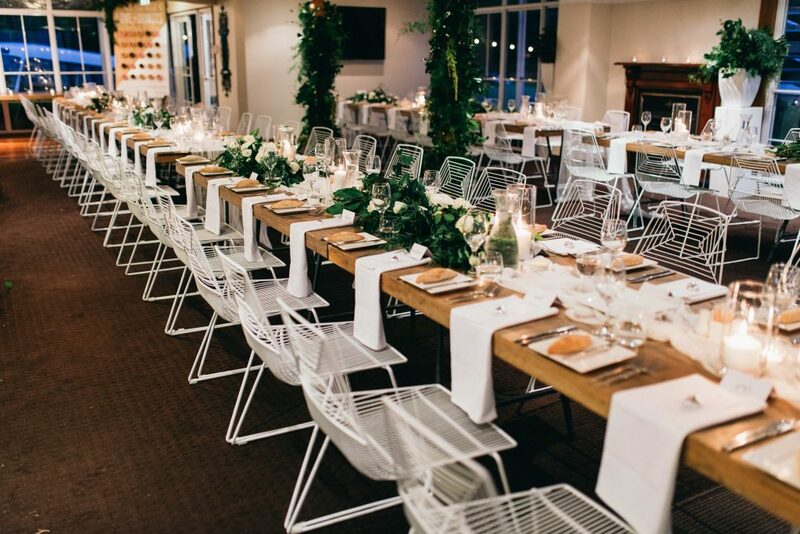 It transformed an already beautifully elegant space into a modern extravaganza, of and those white wire chairs too aren’t they super spesh! 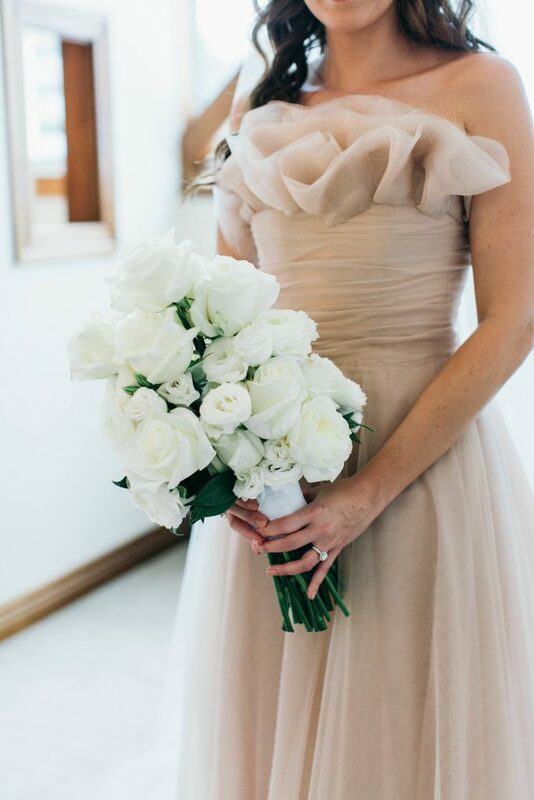 And what about the sugar treats! 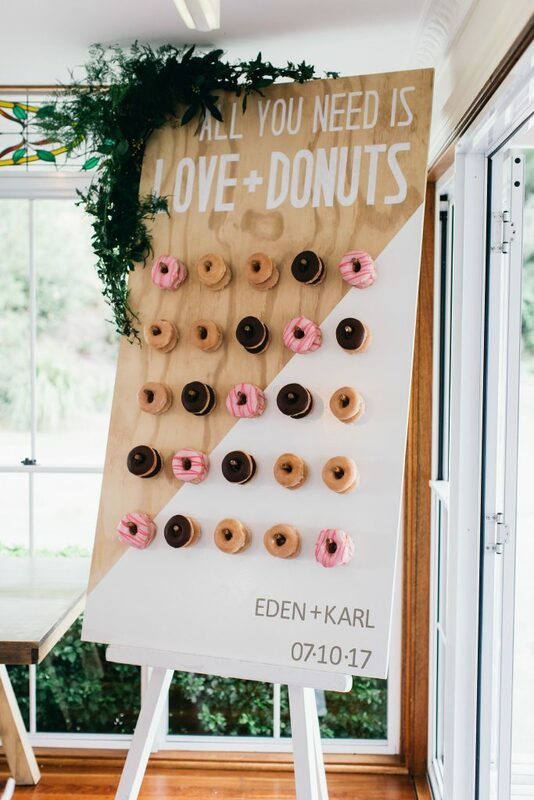 Everyone should end their night with a delicious donut, how gorgeous were these creations and it was wonderful to be able to dress the board with a touch of foliage to continue the style! 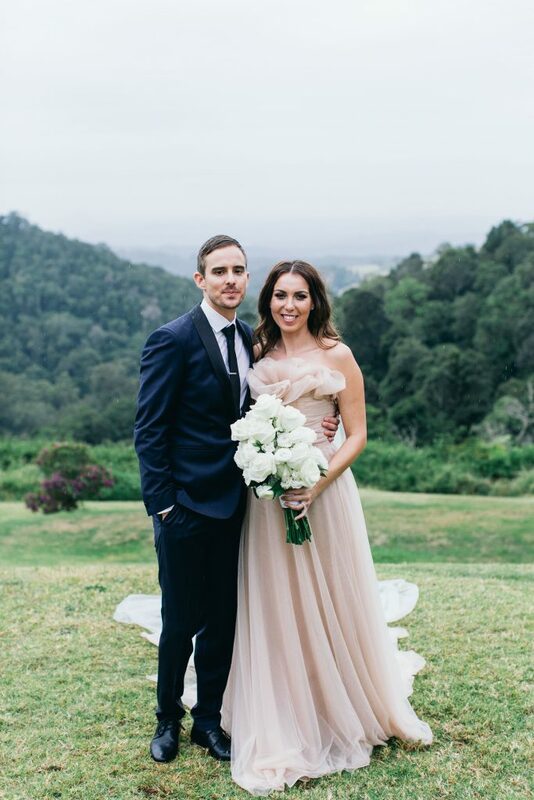 Our gorgeous Eden and Karl, what a wedding, what stunning style, congratulations to you both!